The raid’s hard mode is, indeed, much more difficult. Besides the fact that enemies take more damage, and will hit significantly harder, Revive Tokens are now lost upon death. If you have never completed the raid, click here for a starting guide. Challenge modes are coming soon, which will add even more layers of complexity. 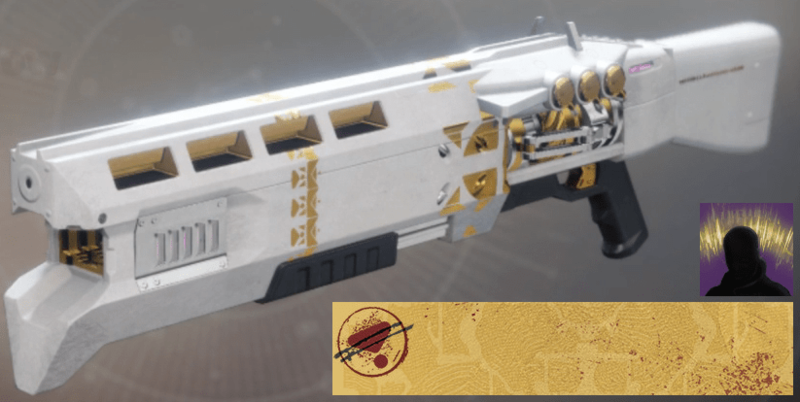 For completing the Prestige raid, you’ll earn the “Glory to the Emperor” emblem, “Imperial Aura” and be able to complete the Legend of Acrius Quest for “The Emperor’s Pleasure” Ornament. You’ll also be able to get a slightly different aesthetic version of raid armor. Instead of 6, there are now 8 war beasts to contend with. Ceremonial Bathers, now with the “Oiled” prefix, drop a temporary effect on the ground after they’re killed that will take away 5 Psionic charges per second if you stand in it. Stay clear! Once the initial phase is finished and everyone moves to the middle to damage the purple Censers, many Bathers will spawn. Make sure at least 1 person is able to use their Super to manage the constant influx of enemies. After enough time passes during the damage phase, if you haven’t fully completed it, the “Burden of Worthiness” debuff will be applied to 4 members of your team. Guardians with this debuff will see a symbol above the center platform, and they’ll need to move to the corresponding platform to pick up an orb to remove the Burden. Once the first 2 players teleport in after picking up the Psionic Charges, a Counselor and Psionic Projection will need to be dispatched. Melee the Counselor, and shoot the Psionic Projection. They’ll spawn in every time the runner goes through the ‘Tic-Tac-Toe’ board. It’s critically important that these are killed. Once the runners have got to the end and are teleported back out, they’ll be unable to run again. Every member will be required to run with the Psionic Charge, so you’ll have to coordinate who will switch in and out after each run. When everyone is inside during the final phase, only 3 orbs will spawn. Everything begins as normal, but when the Psion is melee killed, that person who killed the Psion will be brought to the Mind’s Eye realm. A random person who’s currently in that realm will be brought back to the Throne room. So everyone in the group is going to have time in both areas.